ARcheology: Dig Up History teaches you about ancient history using augmented reality. Create your own archeological dig site right before your eyes! ARcheology: Dig Up History enables you to experience uncovering Earth's oldest secrets wherever you are! 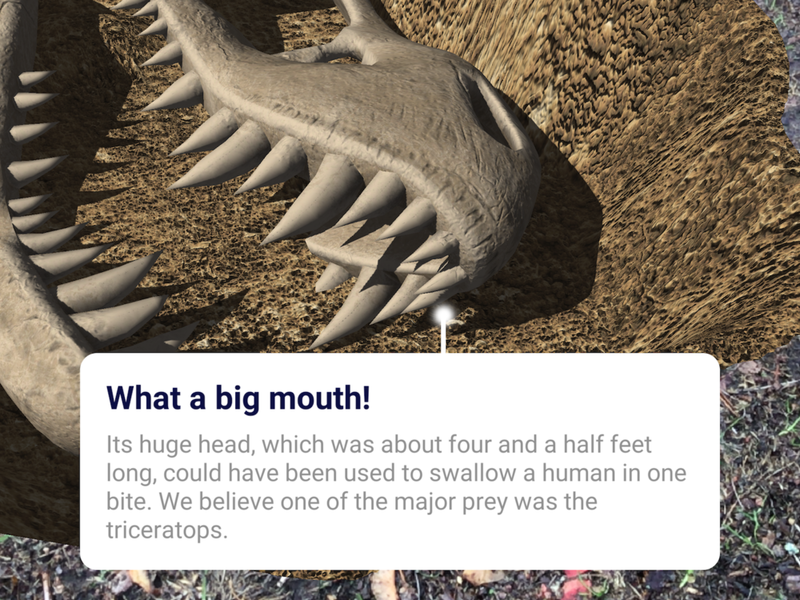 Using the latest augmented reality technology you can dig up your garden, local park or office space and find realistic dinosaur bones without any of the mess! After you have uncovered the skeleton you will need to brush off the dirt to get it in shape for a museum display! Finally, you can then learn about the specific characteristics of the dinosaur and find out how its anatomy dictate its behaviour! ARcheology highlights interesting facts about the dinosaurs you excavate. Do you know why we believe the triceratops was a herbivore? Would you like to learn what the rough wingspan of pterodactyl was? Have a quick dig in ARcheology and have fun while you learn! At Uprooted Software we strive to deliver a great experience to our users while ensuring that we treat everyone with respect. We consider user inclusivity and user data security to be a key part of making an application great.